Two young maths masterminds are taking their favourite subject to a higher level after being invited to attend a prestigious course at the University of Leeds. 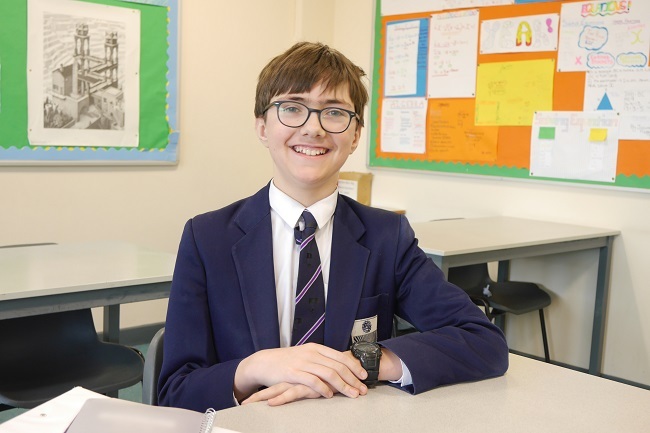 Luke Rawsthorne and Abi Boggs, Year 9 pupils at The Grammar School at Leeds, were nominated by the school for the Royal Institution Mathematics Masterclasses at Leeds, a six week course hosted at the university on Saturday mornings. With just 40 places available for pupils from schools across the city, selection to the course is a significant accolade. The masterclasses are aimed at pupils who demonstrate impressive flair for maths coupled with persistence in solving maths problems and puzzles. The classes extend pupils’ learning by covering topics that are not on the school curriculum. The classes continue until 3 March, and are funded with support from the Yorkshire Branch of the Mathematical Association as well as the university’s School of Mathematics.